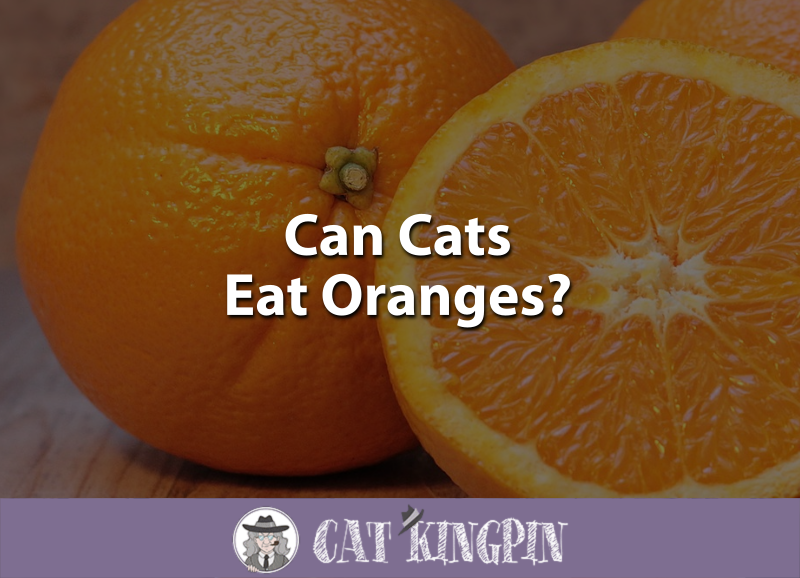 » Can Cats Eat Oranges? Many cat owners like to share their plates with their feline friends. And luckily for us, cats are able to eat a wide variety of human foods. While we all know their first choice is likely to be meat, what about different types of fruits? Many fruits are perfectly safe for cats to eat with one exception: citrus fruits. Citrus contains essential oils that can be toxic to cats. One of the most well-known citrus fruits is the orange. Can Cats Eat Orange Peels? Oranges are cultivated and appreciated world over for their health benefits and tangy, sweet taste. For humans, that is. Our feline friends have an entirely different opinion when it comes to this fruit. Most cats won’t be particularly interested in oranges, as sweet tastes aren’t that appealing to them. That’s because cats can’t taste sweetness. In fact, your cat is likely to be repulsed by the smell of orange so much so that orange oil is used in behavior modification. For example, an owner sprinkles a bit of orange oil on the base of houseplants they want cats to stay away from. This is usually enough for cats to give them a wide berth. Here’s an entire compilation of cats hating oranges! If your cat likes the smell and taste of oranges, you’ve got a very unusual cat on your hands. No, cats can’t eat oranges. But don’t worry, it’s unlikely that your cat will be interested in oranges in the first place. Cats are obligate carnivores, and unlikely to show too much interest in fruit, least of all a citrus fruit like an orange. It contains essential oils and a strong citrus smell. The smell alone of orange will turn your cat off, so it’s unlikely they’ll even want to sniff it, let alone take a bite. No, cats can’t eat orange peels. In fact, the peel of an orange contains more of the toxic essential oils than the actual fruit inside! Orange peels are never safe for cats in any quantity, and if they are ingested they can cause severe digestive upset. Cats that consume orange peels, even just a little sliver, can experience vomiting and diarrhea minutes after their first bite. To reduce this risk, keep orange peels away from your furry friend. You should never let your kitten eat oranges or any part of an orange tree, including the leaves, fruit, and peel. Because kittens are so much smaller than their adult counterparts, the negative effects of ingesting an orange will be more apparent than they would be in a larger adult cat. In fact, there’s no nutritional benefit to giving your kitten any amount of orange, as cats’ bodies make all the vitamin C they need. 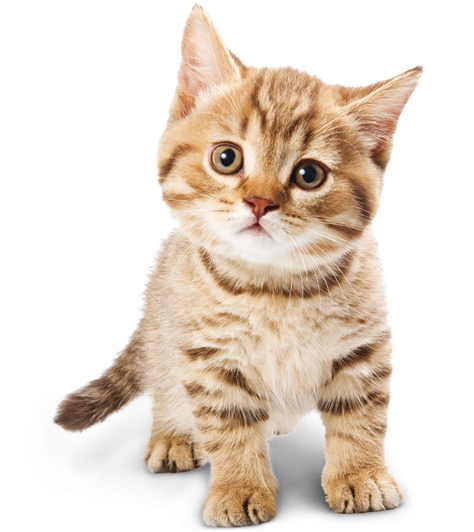 If you want to give your kitten treats, your best bet is to purchase small meaty treats, such as Wellness Kittles. These are great for supplementing their diet or to use as training rewards. And if you really want to add a little bit of fruit to kitten’s diet, apples are a good idea as long as they’re just given as an occasional treat. And remember: never let them eat the seeds! If you’re a huge orange fan and want to know how to share your favorite fruit with your feline friend, here’s an idea: kitty orange balancing! There really aren’t any benefits to giving your cat or kitten a slice of orange. If your cat consumes any part of an orange, it’s likely that they will get diarrhea and or begin vomiting almost immediately. Eating oranges can also cause photosensitivity in some cats, so it’s best not to share this fruit with your feline friend. While human beings often consume citrus fruits because of their high vitamin C content, cats already produced vitamin C naturally in their bodies and don’t require any extra from their food. If you’d like to offer your cat some fruit, apples are a much safer alternative to oranges. Even so, you should still only feed your cat small pieces of apple sparingly, and never allow them to eat the peel, the core, or the seeds. If you’re not sold on giving your cat any type of raw fruit, you can try giving them cat treats that contain fruit, such as Wellness Kittles. So, can cats eat oranges? No, cats can’t eat oranges. All parts of the orange tree, including the leaves, peels, and interior portion of the fruit, contain essential oils that are harmful to cats. Some fruits, such as strawberries and apples, can be safely given to cats in small quantities and are a great alternative to oranges. Even better, there are specially-made cat treats that include fruit alongside meat, such as Wellness Kittles. Do you use orange peel or orange essential oil to deter your cat? Does your cat like the smell? Let us know in the comments; we want to hear all about it!